My son and I love listening to the Brinkman Adventures! 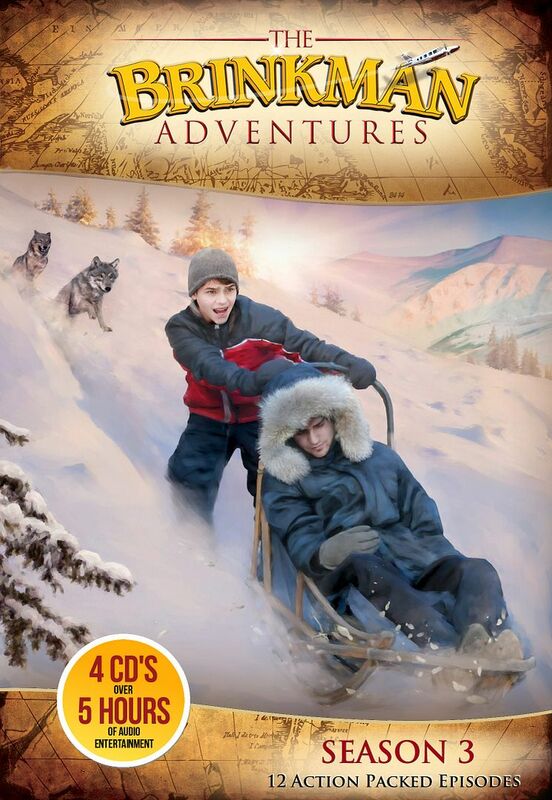 Recently, as part of the Schoolhouse Review Crew, I had the opportunity to review Brinkman Adventures: Season 3 with my son. I received the physical CD set for this review. My son was so excited when our package came in the mail! He said, "Alright, I love the Brinkman Adventures! When can we start listening to this one?" We enjoyed listening to the Brinkman Adventures for fun in our homeschool! The Brinkman Adventures were created by Ian Bultman. He conceived the idea on hot, summer day in July sitting in a hotel room as he was praying and reading his Bible. He was reading in Luke 8:16-18 when the idea came to him. The first season of the Brinkman Adventures was released nationally on Memorial Day weekend, May 26, 2012. "The family returns for another exciting season of missionary stories and family adventures. From dangerous terrorists and a Taliban jail to threatening wolves and hypothermia, new challenges push our characters to the limit of endurance and force them to face their deepest fears. Travel the globe from Ecuador to Kashmir and from Africa to Alaska as you listen to these amazing stories and discover God's wonderful truths!" These four CD's come packaged in a sturdy plastic case with a full color picture of one of the adventures you'll hear in Season 3 in the package sleeve. All of the stories are actual powerful missionary stories brought to life by the Brinkman family adventures. They will strengthen your family's faith as they have our family's faith. My son and I enjoyed listening to each story and had a fruitful time of discussion on many spiritual topics that were weaved as lessons throughout Season 3 of the Brinkman Adventures. If you're wanting to fill your child's heart with the importance of the Great Commission Jesus left for us all before leaving this world, then use the stories of real missionaries found in the Brinkman Adventures. They're sure to be a big hit in your home as they are in mine! You can discover even more at the Brinkman Adventure website. Learn about what happened in each story as you go behind the scenes; meet actual missionaries; and watch behind the scenes videos! You can connect with the Brinkman Adventures on Facebook.